Today is Earth Day and I’m spending it at our new mountain house doing a bunch of yard work. As I mentioned last month, the Tree of Life at Walt Disney World’s Animal Kingdom is one of my favorite parts of that park. However now that Pandora is open at the same park it’s even more interesting and fun! Avatar is one of our favorite movies and the environmental theme is really thought provoking. I’m so glad that Disney Parks is taking that theme to heart and has so many initiatives to promote conservation, including some great solar initiatives! Click here to read all about those. Did you know I offer Disney Travel Planning services? Tickets, hotels and/or packages at no extra cost to you (Disney pays my commission). Request your free quote here. Hello! Happy Monday! Did you arrive from Lisa’s Monday Mojo? I love her ideas! Keep reading to see who’s next in this week’s Make it Monday circle. I travel a lot. Both for work and for pleasure. As a matter of fact, I just came home from a work trip to Vancouver. I love exploring new places. Sometimes I’ll pick up a map or a postcard or other tangible items to help me remember the trip. Now that I’m primarily digi-scrapping, the challenge is how to use these items that I’ve collected along the way in my layouts. Here are some ways I use them digitally. 1) Scanning them is probably the most obvious way. 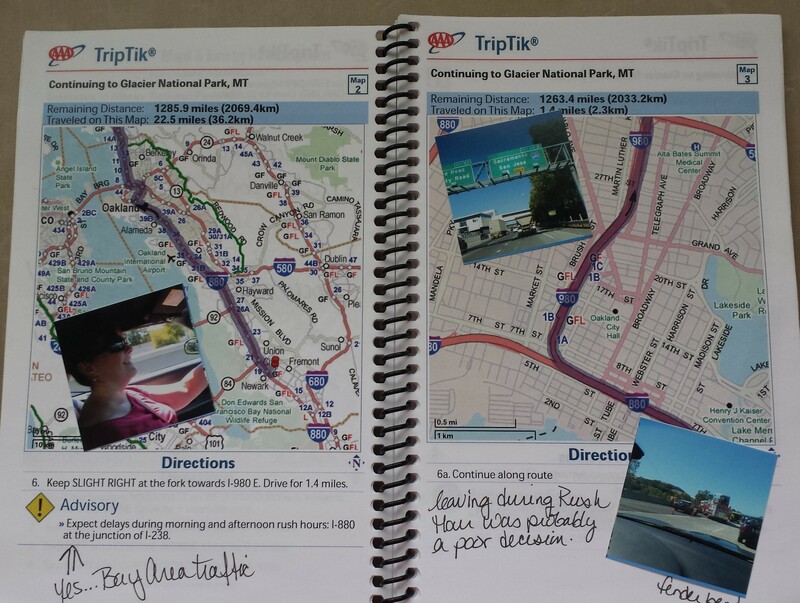 Scan the map, transportation ticket or postcards and use those images in your layouts. Don’t have a scanner? 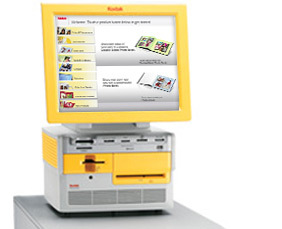 Many drugstores that have photo centers now have machines that will let you scan and email to yourself for a fairly low price. 2) Find the map or image online. This is my main way of using maps in my layouts. I know that the Disney website (for one) has great maps online. For me, it’s easier than scanning. The fastest way for me save these online pictures is to right click on them and Save Image As… Keep in mind that these images may be copyrighted and may not let you Save As…. and are often low resolution. 3) Take a photo of the item with your phone. Many mobile phone cameras have a high enough resolution that will work in your digi-layouts. I’ll take the photos and let my Dropbox app auto upload it to my computer when I get home. 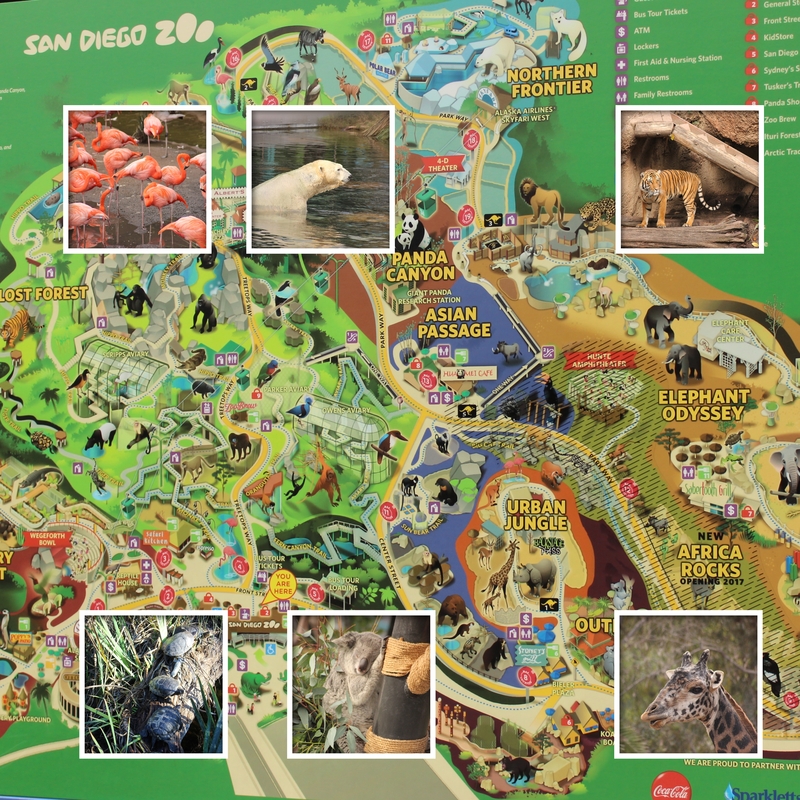 I also do this a lot for street or landmark signs, like this picture of the map sign at San Diego Zoo. 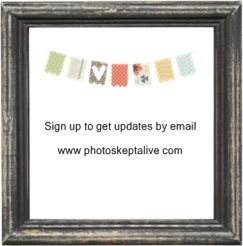 You can also email the photo(s) to yourself instead of using a file sharing app like Dropbox. These are just a few of the ways we can use the ‘stuff’ we collect while traveling in our digi-layouts. Do you have some that you’d like share in the comments? I’d love to know your tips! 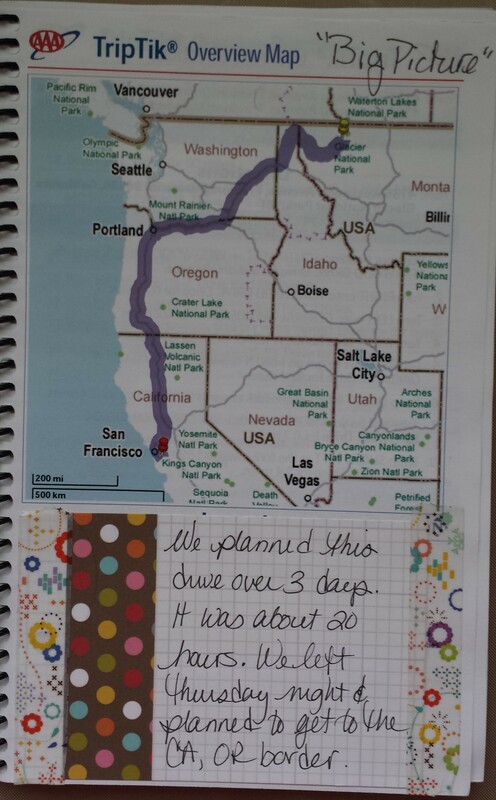 Now, continue along the Make it Monday Circle to Alice who has some great tips about creating two page travel layouts. More and more I’m using the Alphas that come with a kit, even though they’re often not built specifically for Artisan. 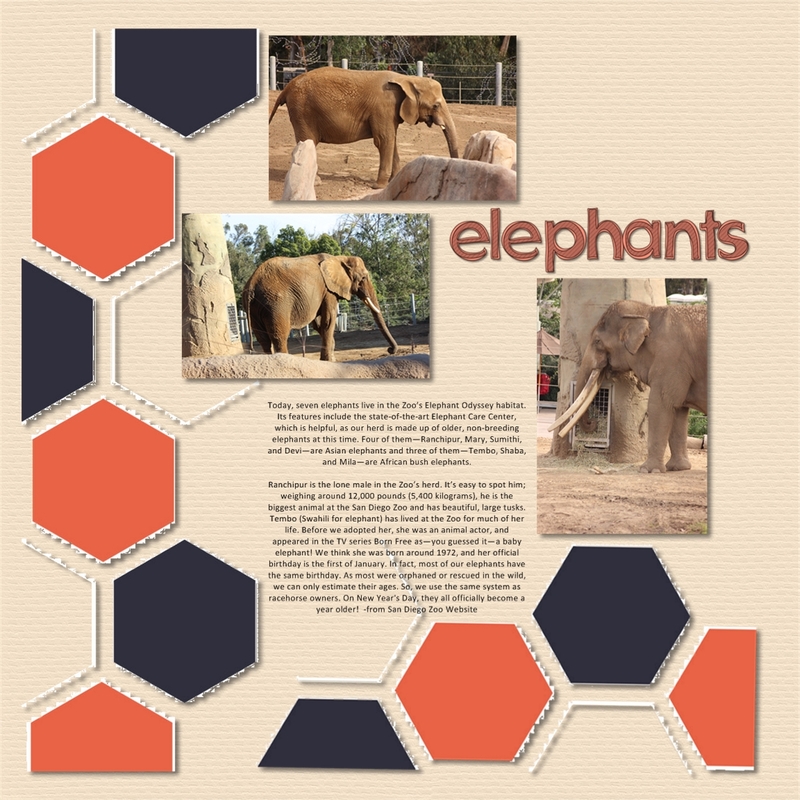 In this Elephants layout, I used Chelle’s Rollercoaster Alpha and recolored it. 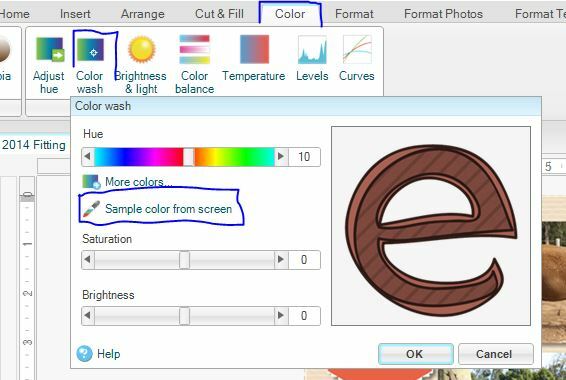 One way to recolor is to find a color or paper and simply fill it. However doing that you lose any of the textures built into the Alpha. In order to keep the integrity of the Alpha, I like to use the Color Ribbon and either Adjust Hue or Color Wash. For this layout, I used the Color Wash and selected an Orange Hexagon as the color palette. Add each letter to the layout. Move around the page, align, group and resize as desired. Adjust the Saturation and Brightness as desired. Changing the color is so each that it can be done for papers and embellishments just as easy as Alphas. Give it a try and link up your layout in the comments. I’m joining the Make it Monday Blog hop and hope you enjoy! Here’s a project I finished this week. Last year we drove from Northern California to Glacier National Park, Montana. Along the drive, we took loads of pictures – highway signs, Welcome to…[state] signs, and scenery. Of course, the passenger was always the photographer. As a child, road trips were our vacations (my mom doesn’t fly). 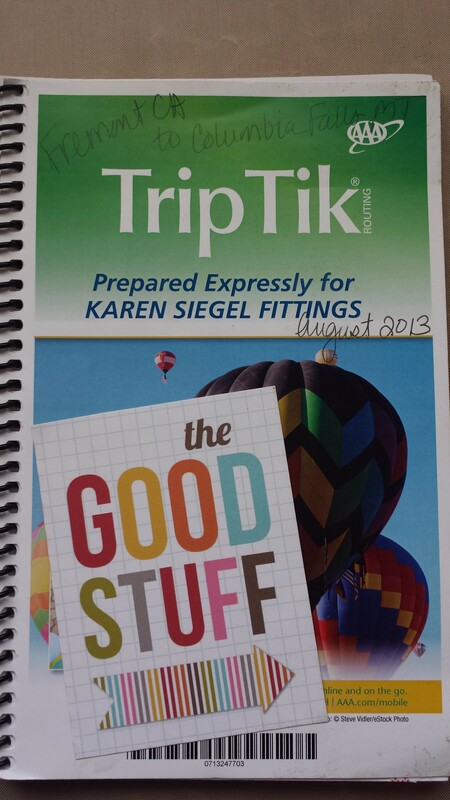 We would often order a Trip Tik from the American Automobile Association (AAA). Especially since, in those days, electronic GPS and mobile technology wasn’t around. I thought it might be fun to use one on this trip too. 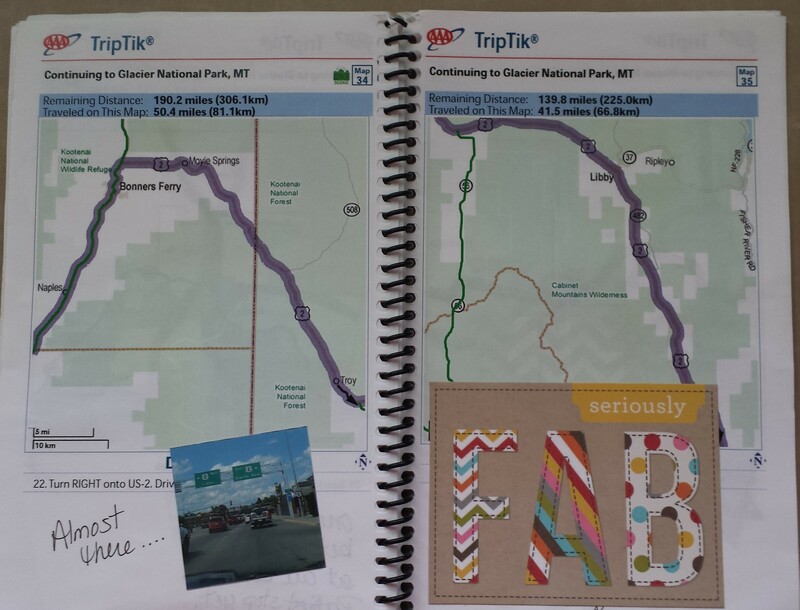 Then I got to thinking about how I might re-use this little book to document our drive. When we returned home, I picked the best pictures of the drive and ordered 2×2 prints from Persnickety Prints (they have a great template that makes this both easy and cost effective!). 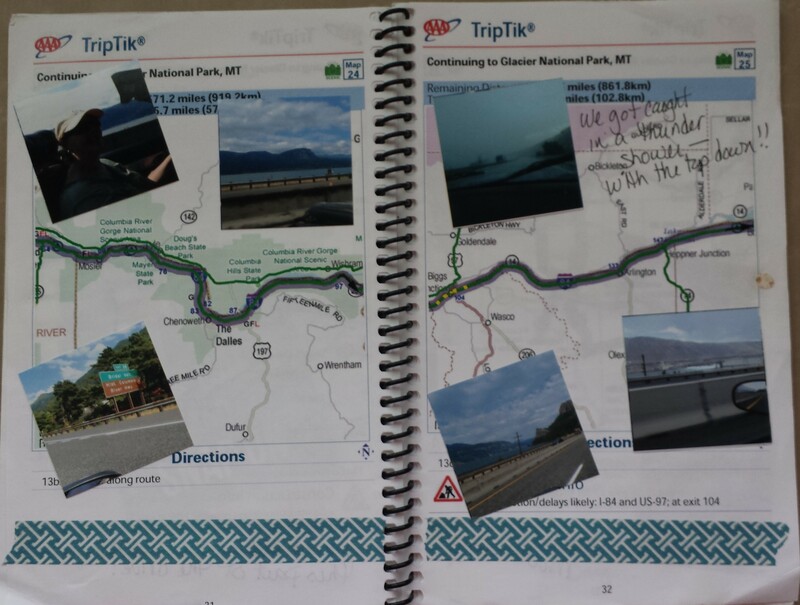 I added pictures to the appropriate pages within the Trip Tik and then went back and added journaling, washi and some fun pocket style cards. 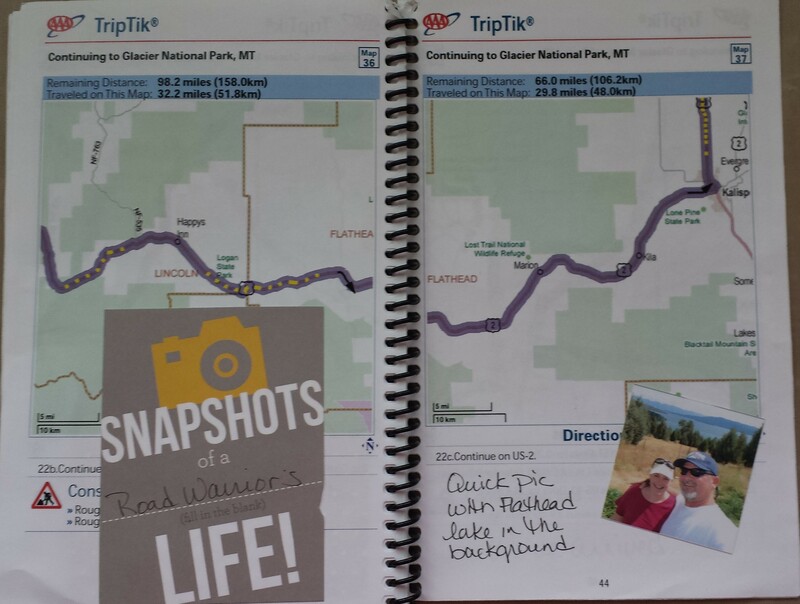 It’s a pretty good reminder of the journey getting to Glacier National Park! The journal cards and pocket style cards I used were from Simple Stories Sn@p series that I purchased on sale at Michael’s (click the picture to see an Amazon listing for these kinds of supplies). I loved using my Smash Book pen/glue and was able to use up some of my [vast] washi collection. Now hop on over to the next post…. [I’m putting in the entire list this week as it’s my first week doing this] – ENJOY! PS – True Scrap registration is now open. This is an online-live event and it’s at these events where I am inspired to come up with ideas like this Road Trippin’ book!! !